ACTIVE VIII is a renowned Centre of Excellence for Sports Physiotherapy. ACTIVE VIII is a privately owned Centre of Excellence for Physiotherapy which has built its reputation on the range and quality of services it provides. People are living longer and busier lives than ever before, so it’s not surprising we occasionally need a helping hand to stay in good working order. We offer help to people of all ages, from babies to the elderly and from all backgrounds. We provide a unique 'integrated' approach which incorporates developing a partnership with yourself, putting your needs and expectations at the core of what we do. This enables us to provide you with fast-track clinical diagnosis, treatment, rehabilitation and preventative care using a collaborative approach to restore your fitness and to promote an active lifestyle. Back and neck problems, trapped nerves, whiplash injuries, trauma, arthritis, upper and lower limb injuries. Injuries to tendons, ligaments, bones and joints, circulatory, respiratory or nervous system. General anxiety and stress, depression, panic attacks, obsessional symptoms and adjustment to health-related problems. Number of sessions capped to what is needed - no more, no less. We work closely with your GP to ensure you receive the most appropriate interventions. ACTIVE VIII has earned a reputation for achieving excellent results. No matter what your problem, help is at hand. ACTIVE VIII has a dedicated team of physiotherapists with a minimum of 5 years post-graduate education, experience and a high level of expertise. 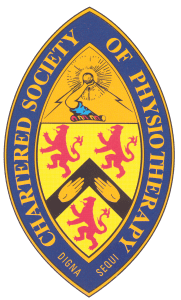 All physiotherapists have additional qualifications, some at the highest level, including Master of Science degrees in Neuro-Musculoskeletal Physiotherapy (NMSK) and Manipulation, Sports Physiotherapy, Sports Rehabilitation and Sports Science, or degrees and diplomas in, physical education, injection therapy, orthopaedic medicine, acupuncture, biomechanics, podology, orthotics and footwear and pilates.